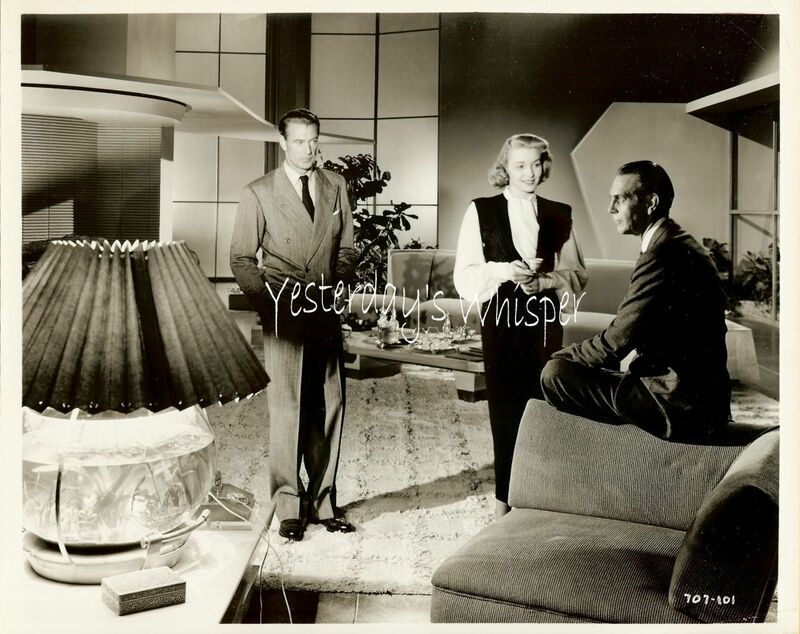 i000000 Gary Cooper Pat Neal Ray Massey The Fountainhead Photo Click to Enlarge Click to Enlarge Inventory: K703 Great Vintage Photo! The snipe's mention of AAP (usually given in lower case: a.a.p.). Associated Artists Productions bought a sizable chunk of the pre-1948 Warners library for TV showings in the fifties. These stills are generally well printed and clearly come from studio elements, so while they're authentic and vintage in a sense (even though the vintage is off by a decade or two), they're not original in the sense they were created by the original distributor for the first (theatrical) release of the film.. 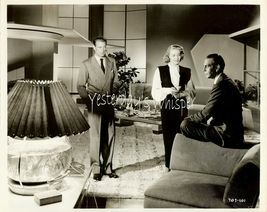 Cast: Gary Cooper, Patricia Neal, Raymond Massey Setting: The Fountainhead Studio: Warner Bros. Date: 1949 Size: 8 x 10" Weight: single Condition: See Scans for condition of photo. If further info on condition is needed, please contact me. Original: Yes Finish: glossy Keywords: store link: http://www.stores..com/yesterdayswhisper Check back often or you may miss a great original photo! Be sure to check my Store Items at Buy it Now prices. New listings never before offered going straight to the store at "Buy it Now" prices Go grab it before someone else does!!!! Collecting Movie Photos is a great source of enjoyment for the avid collector or the beginning novice. It's a great time to start a collection as is a great vehicle allowing you to find your all time favorite vinatge Hollywood movie star photographs at the touch of a keystroke! Do you have UNIDENTIFIED Movie Stills just sitting there driving you crazy? Do you know there is a book available that lists THOUSANDS OF MOVIE CODES - I can tell you more! Movie Photo's can serve as a decorator's dream, target a theme for home decor, theater room or professional office. It is a GREAT gift idea for the "hard to buy for" person in your life. Simply type in a "keyword search" in my store search bar and see what you come up with! Payment Terms PayPal Shipping Terms Flat rate shipping charge DO NOT DUPLICATE OR COPY! Template Made By: Â InkFrog.com Auction Templates, Logos, Store fronts and more!